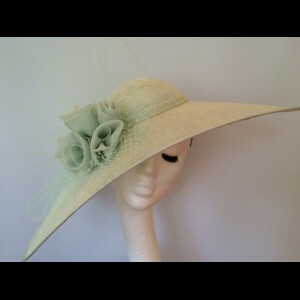 The popular 'Gatsby' ! 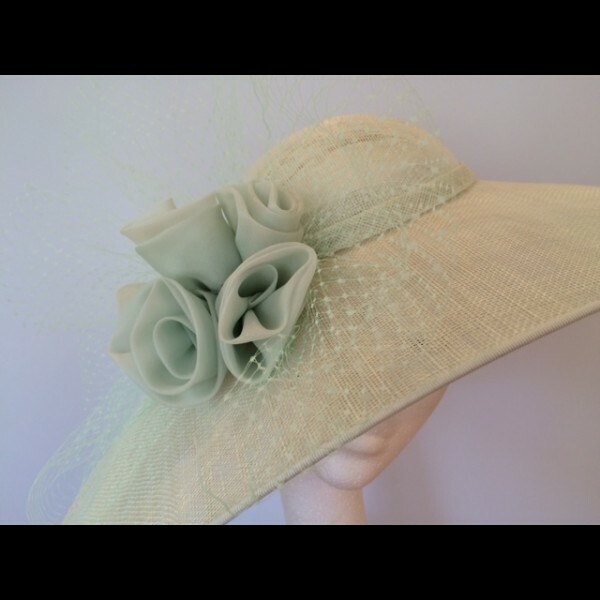 Fabulous dramatic shape in soft Mint sinamay , trimmed a toning veiling bow and silk organza handmade roses. The price stated is for the HIRE of this hat. 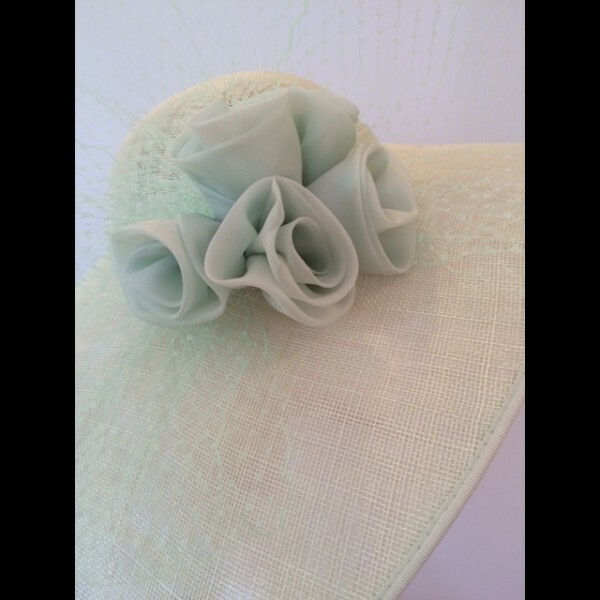 In soft Mint coloured sinamay, the hat is trimmed with a veiling bow and handmade soft silk organza roses. Mounted on a toning silk wrapped hairband for comfort with a comb fitting for extra security.